Love the cover for this one! Finally read the second book earlier this year...or just too many books ago this year! It's definitely been an interesting series with a twist on Greek gods and what not! Can't wait to see the ending! Another series I absolutely adore!! Can't remember what happened in the first one much since I read that one as an early ARC, so hopefully it will all come back to me once I get started! The first is new to me but it sounds like one I wouldn't want to miss. Both covers look great. I haven't read Alice in Zombieland yet but I love retellings! I haven't heard of the first one but sounds really interesting. I wasn't a great fan of Alice in Zombieland so I'll pass this one. Great picks! I have seen the covers for books 1 and 2 in the Gods & Monsters trilogy but never really checked it out. I must do that soon! All hails to the first pick! I love mythology books, and Medusa is definitvely a creature I love more then some others. I think the first of this series is on my pile somewhere, and I hope I can get to this thrid one soon, because the cover is just freaking gorgeous! I've been wanting to start both of these series! :) Great picks and thanks for stopping by My WW! Oohh two series I want to start. The Wicked Within looks great and I love different takes on geek gods. And Alice in Zombieland sounded like a different take on zombies so both great picks. Thanks for stopping by! Nice picks! =) Hope you enjoy them when you get the chance to read them! I've always wanted to read both series but just haven't picked up book one yet. i love the cover of both! 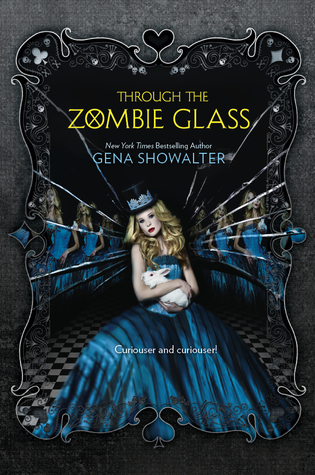 I actually have an ARC of Through The Zombie Glass, I haven't read it yet! I really hope it's excellent, great picks! I love Greek Mythology so the first one looks fantastic. Seems like a lot of mystery and action would be going on in that one. I haven't read Alice in Zombieland yet, but I really want to. Great picks! Jaclyn @ JC's Book Haven. I reallyreally liked Darkness Becomes her, didn't like the second book as much though. But I am excited for The Wicked Within! I still need to read me some Gena Showalter! Wicked looks great. Hope you get to read it soon! I haven't read either book but they sound awesome!! I like the sound of both books but I haven't read the previous in their series. I hope you enjoy reading both when they come out. Both sound AWESOME and the second cover is AMAZING! It makes me want to go read the first book now! Nice picks! the wicked within is the third book?? i never even heard of the others! Really looking forward to Through the Zombie Glass! The first one I haven't read any of the books in the series yet. Happy Wednesday! I can't wait for Through the Zombie Glass! I really enjoyed the first one. I haven't read the Darkness Becomes her books, but they sound good. Great picks! I haven't read the first book for either of the series but I hope you enjoy the second ones! 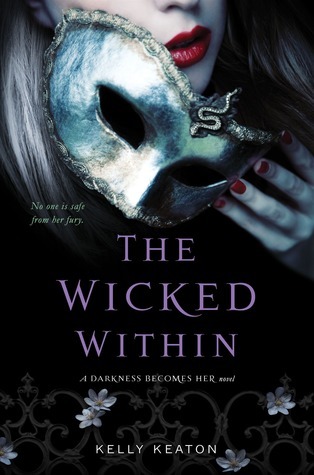 I love the cover for the Wicked Within! It's gorgeous! And I haven't started Gena's series yet! Great picks Jessica! I haven't heard of the first one, but I love the premise for it. Through the Zombie Glass...YES YES YES YES!!! I cannot wait to get that one in my hands and just devour it! I love Gena Showalter and I loved Alice in Zombieland! Great picks, Jessica! :D Thanks for stopping by! I love Kelly Keaton's adult series so I should really read this too. But I wasn't really happy with Alice in Zombieland so i doubt I'll be reading the sequel. Ooh, Àlice in Zobieland was great :) I am definetely looking forward to the sequel! Great WÔW!